You can return this item for any reason and get a full refund: no shipping charges. The item must be returned in new and unused condition. In Stock. Sold by alasville and Fulfilled by Amazon. Gift-wrap available. 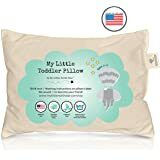 Organic Toddler Pillow Nursery Pillow Cotton Kid Pillow Organic Alasville Hypoallergenic Insert Washable Baby Pillow 13x18 Soft Yet Supportive Nap Pillow Naturepedic Pillows. 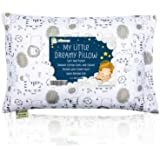 ★【100% Cotton, Comfortable & Soft】This is a hand-made GOTS-certified 100% organic cotton toddler pillow shell. 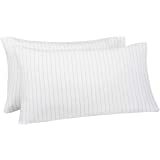 Our organic toddler pillow is filled with hypoallergenic DuPontTM Sorona fiber. Truly chemical free: No pesticides, No flame retardants, No dust-mite repellents. No mold and mildew resistance chemicals, It is breathable, soft, supportive and comfortable; a better fit for your baby's delicate skin. 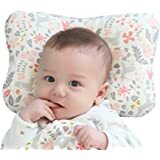 ★【Suitable Size & Never Gets Lumpy】The size of our organic toddler pillow is 18"x13"x3.5''，this is the best ergonomic size and height for baby. It's perfectly stitched and no fine cotton swarf will leak. 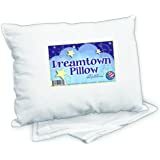 This kid pillow makes a perfect gift for Christmas, daycare or for a new bed. 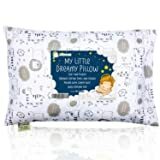 This baby pillow is machine washable and dryable, and it won't get lumpy thanks to our special DuPontTM Sorona fiber filling. Even no pillowcase needed! ★【Perfect Outdoor Companion & Machine Washable】Sized perfectly for your little one to nap, sleep and play while on the go. 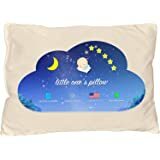 With the baby pillow on hand, your little one will feel more secure when sleeping or napping anywhere. 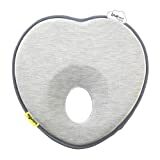 Once you want to wash this kid pillow, just place it in a machine washer, apply a gentle cycle setting with cold water, and tumble dry on low when needed. Our baby pillow organic is guaranteed not to shrink even after multiple washes. ★【Satisfaction Guaranteed】We are committed to providing the best products and the most considerate service to our customers. We hope that our baby pillow organic will bring convenience and comfort to your family . If you encounter any problems during use, please contact us right away. We will communicate with you promptly and provide return service. Sold by alasville and ships from Amazon Fulfillment. Sold by UOMNY and ships from Amazon Fulfillment. 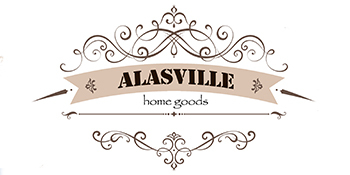 Alasville is a 20 years old company that specializes in providing customers with the best home textille , including:bed pillow,beding & mattress,toddler pillow,children’s bedding, ect. 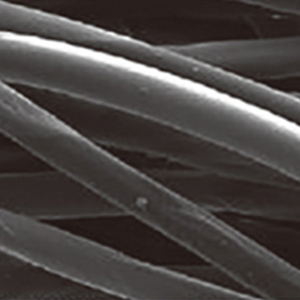 Our materials from all over the world, such as German silk, Polish goose down, Egyptian long-staple cotton,Malaysian tropical rubber，and a variety of cutting-edge rayon materials, we hope that our products can go to the world and serve more customers. Have you paid attention to your child's sleep quality? Do you want to give your child a healthy sleep? 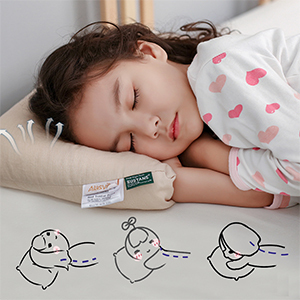 Here comes Alasville toddler pillow!The original ecological health products which perfectly fit the curve between the neck and shoulders, can improve the child's sleeping position, Alasville brand baby pillow must be the child's best sleep companion. 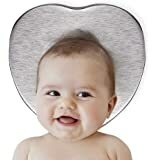 It is the best choice for your baby. 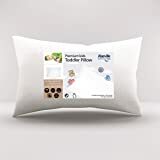 Our organic toddler pillow is filled with hypoallergenic DuPontTM Sorona fiber, The shell is a hand-made GOTS-certified organic cotton toddler pillow cover, and it's truly chemical free with no pesticides, fungicides or herbicides, no mold and mildew resistance chemicals, no flame retardants, or dust-mite repellents. It is breathable, soft, supportive and comfortable; a better fit for your baby's delicate skin. 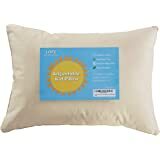 The pillow's cover is made of light brown organic cotton, which comes from nature, not later dyed, and is very healthy and safe. 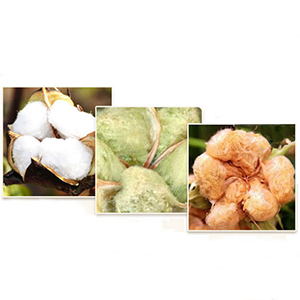 Natural organic cotton comes in three colors: pure white, light green, light brown, just like the color of human hair, which is genetically determined. 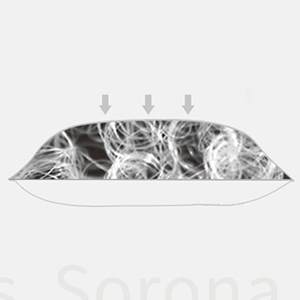 Dupont sorona Sustans：originates from natural plant fiber, safe, silky, soft and tactile, good drape, more close to skin, not easy to produce bacteria and mites. So Many Fun Organic Toddler Pillow! 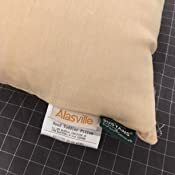 Made Just For Your Alasville organic toddler pillow ! ● Have you paid attention to your child's sleep quality? ● Do you want to give your child a healthy sleep? 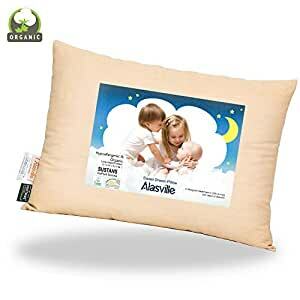 ● Alasville organic toddler pillow can satisfy your wishes. 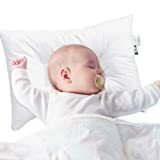 The original ecological health products, how the baby sleeps comfortably, perfectly fit the curve between the neck and shoulders, improve the child's sleeping position, Alasville brand baby pillow must be the child's best sleep companion. It is the best choice for your baby. 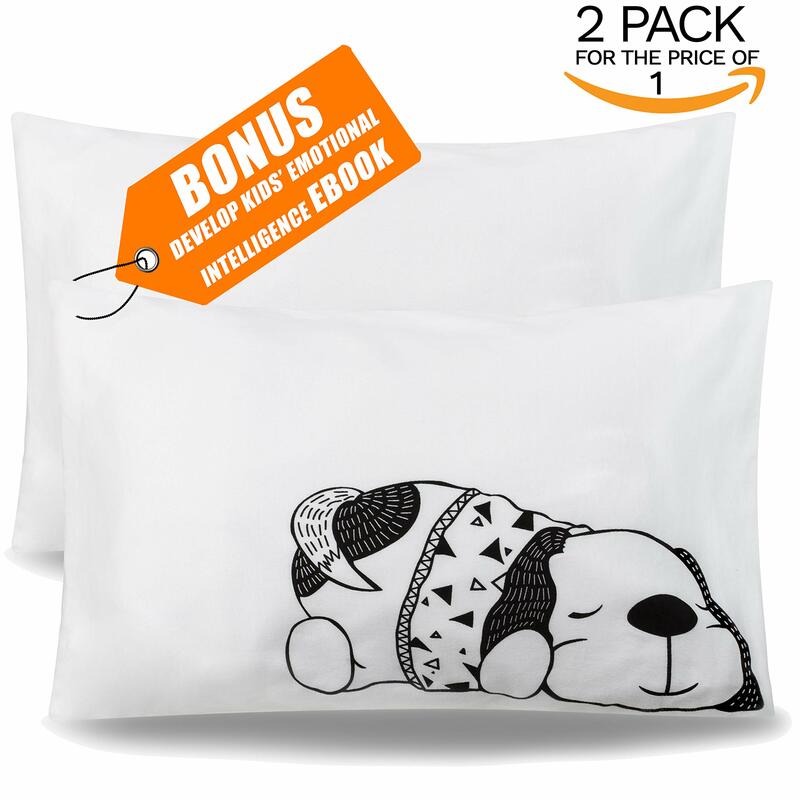 ● 100% cotton material: This is a hand-made GOTS-certified 100% organic cotton toddler pillow. Our organic toddler pillow is filled with hypoallergenic DuPontTM Sorona fiber, and it's truly chemical free with no pesticides, fungicides or herbicides, no mold and mildew resistance chemicals, no flame retardants, or dust-mite repellents. It is breathable, soft, supportive and comfortable; a better fit for your baby's delicate skin. ● Our baby pillow has good memory, recovery after compression, perfect softness and comfort, which is very suitable for children's sleep. ● No odor, moisture, insect, and allergy, the best safety guarantee for children's sleep. 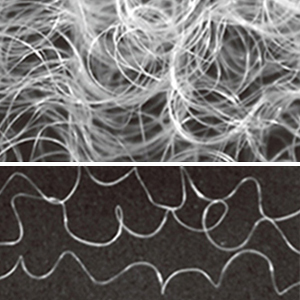 ● Cold water cleaning, low heat drying, no shrinkage, no bacteria, easy maintenance. ● Size: 13 x 18 inch. 5.0 out of 5 starsWONDERFUL PILLOW!! I was extremely looking forward to the pillow, so as soon as I got the package, I open it right away. This toddler pillow set is such a perfect size. I would not have thought it would be this good when I ordered it. 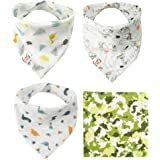 I love the neutral colors and fun animals on the cotton shell. The case washes well and maintains the size without shrinking. The shipping was really fast. I ordered on Wednesday afternoon and delivered by Thursday evening. Wow! I definitely will order again soon! I was extremely looking forward to the pillow, so as soon as I got the package, I open it right away. 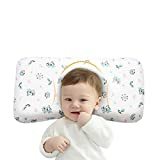 After a lot of looking around, I decided to give this organic toddler pillow a try and buy it, even though I had second thoughts because of the low review count. I'm so glad I did that! To say I am impressed with this kid pillow and the company would be a huge understatement. 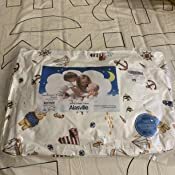 I am looking forward to this baby pillow, so I can't wait to get it apart when I receive the package. The organic toddler pillow is just right for my little boy (3 and a half years old) and he takes it everywhere with him (we even had to take it grocery shopping believe it or not). And come to think of it, before I bought this organic toddler pillow we had trouble putting our son to sleep. Now he actually looks forward to taking his daily naps and I notice he yawns less and has more energy, which makes me think he has sleeps better since this pillow. 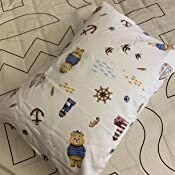 The price of this organic toddler pillow is a real bargain for what you get, very soft to the touch cotton, breathable fabric, strong stitching and no fill lumps. I want the very best for my kids and this is it! The customer service is outstanding! They made me feel like a real valued customer. I usually don't write reviews, but I took the time to write this one because it feels so refreshing to find such a fantastic product backed by stellar customer service. 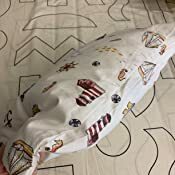 Oh, and a little tip for everyone, since this pillow comes without a pillowcase, you can use a standard sized pillowcase and tuck it into itself. 5.0 out of 5 starsBeyond expection, come with pillow case! This toddler pillow came exactly as I expected. I’m s pleased with my purchase. 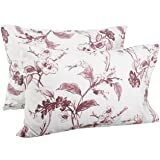 I guess I didn't read the listing very well because I was pleasantly surprised it has a pillow case, I thought it was just the print on the pillow. Bonus is it doesn't smell like chemicals, I was expecting that and was happy to find it smells fresh and clean. 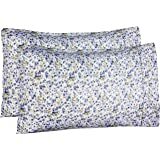 This is the only toddler pillow set we have ever tried so I have nothing to compare it to, but my 2 year old daughter loves it. 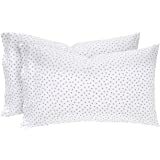 With all the chemicals in so many items today I was pleased to find your toddler pillow set made of great materials. I love that the material doesn’t smell funny, this cotton shell is machine washable! Thank you for such a thoughtful baby pillow! Got this pillow for our daughter to use at preschool during naptime. She loves it, and it's a good size - small enough to fit easily in her nap bag with her sheet & blanket, but large enough for her to comfortably lay her head on. One thing I didn't like is that the pillow case that comes with the pillow is a little thin. 5.0 out of 5 starsGreat quality pillow. Fun pillow for toddler grandchild. Doesn't even need pillowcase it is so cute. We purchased this pillow for our 19 month old son. At first, it seemed overfilled and very fluffy but it patted down nicely. It has held it's shape since. It is about 3/4 the width of a standard size crib. 5.0 out of 5 starsWorth it!! As soon as I received the product, I couldn't wait to open the package. Although this toddler pillow is compressed in a small vacuum package, it Fluffs quickly as I open the package. 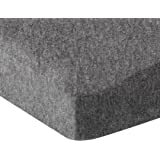 The soft and fluffy pillow feels very comfortable. I am sure this is the toddler pillow I have been looking for. 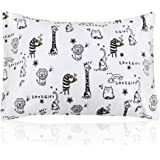 More importantly, this pillow fabric is made of 100% organic cotton, more secure, absolutely the best gift for children! 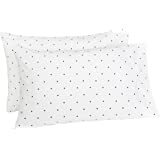 This item: Organic Toddler Pillow Nursery Pillow Cotton Kid Pillow Organic Alasville Hypoallergenic Insert Washable Baby Pillow 13x18 Soft Yet Supportive Nap Pillow Naturepedic Pillows.